The year is 2015—a future so distant that it’s difficult for us to imagine—and the city of Los Angeles has been taken over by an enemy force. Who are they? What do they want? Have they taken over any other cities in California? How about San Diego? We may never know the answers to these questions, because this is the premise of a new show from Lost’s co-showrunner Carlton Cuse, and he has a history of leaving things unaddressed. 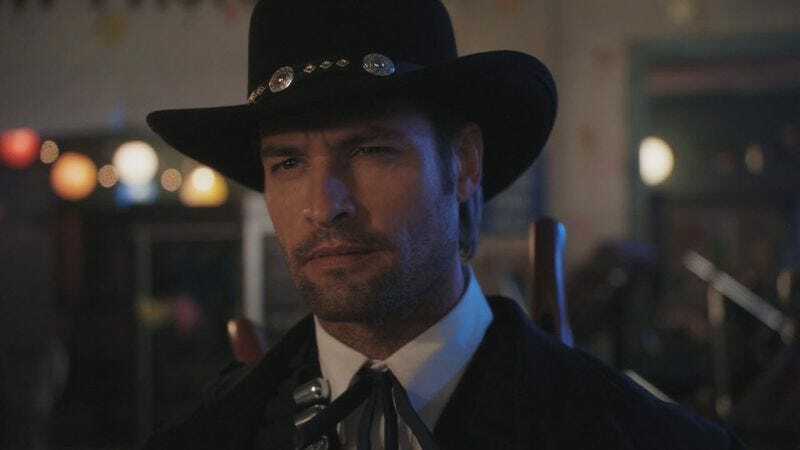 What we do know, thanks to Variety, is that the project is titled Colony and that it will star Lost’s Josh Holloway—reuniting him with one of the brains behind his old show—as a “former FBI agent who is forced to collaborate with the occupying government to fight the growing resistance movement in the city.” The show has been picked up as a pilot by USA, and that covers everything we know about it right now. The idea of some kind of enemy force swooping in and quickly taking over a chunk of the United States seems very Red Dawn, but for all we know the invaders could be aliens or time travelers or some mysterious people from the other side of a weird island, so that comparison might not fit. Also, the description of Holloway’s character doesn’t mention him secretly working with the “growing resistance” or anything, so that makes it sound like he’s fully on board with helping the bad guys, even if he is being forced to do it. Either way, Colony will hopefully last longer than Holloway’s last attempt at a high-concept drama series, Intelligence, which was about him using weird brain powers to something something. We don’t really remember it.